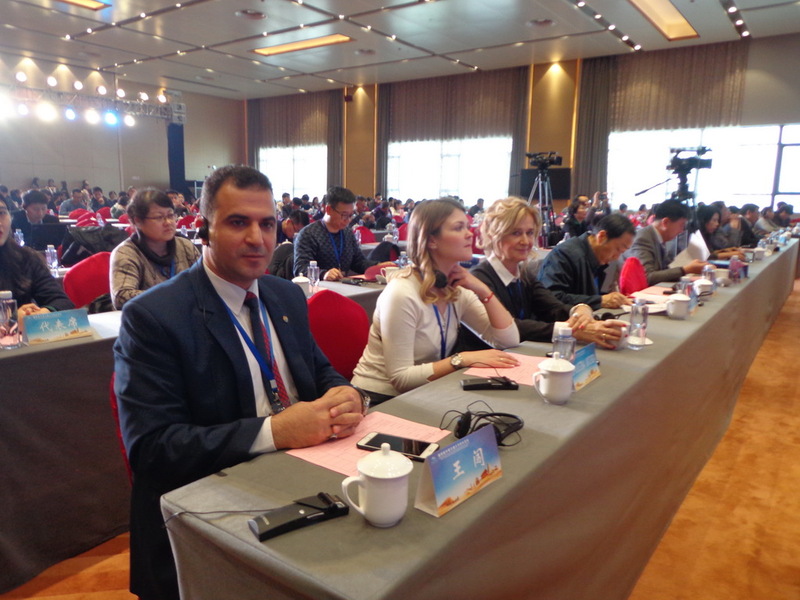 Out of the initiative of one belt and one road in the so-called "economic belt and the Silk Road", and due to the international importance of Mansoura University. 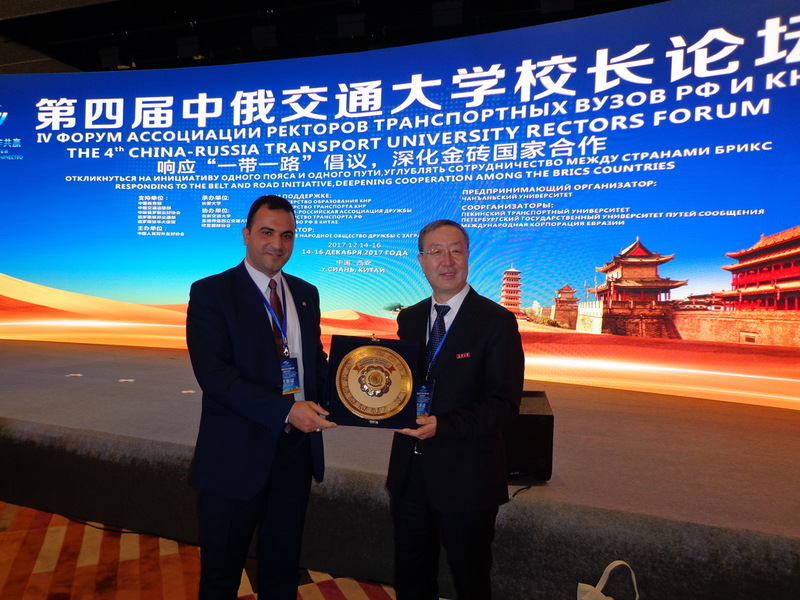 Prof/ Mohammed Salah - Director of the Office of International Relations, on behalf of prof/ Mohamed Kenawy - President of Mansoura University, participated in the fourth forum of heads of universities of Russia, China, Brix countries, Belt and Silk Road. 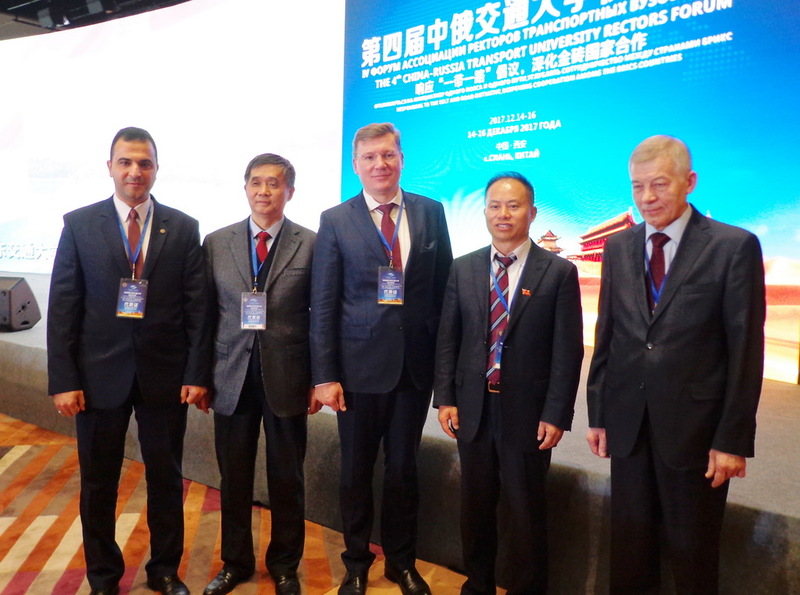 The forum held in Xi'an – China, and organized by university of Xinjiang Beijing Jioteng (China), St. Petersburg State Transport University (Russia) and the Eurasian International Society. Its worth to mention that Mansoura University was the only Egyptian and the only Arab university participated in this important international forum, which establishes for strong educational, research and economic relations between the institutions of these countries. On the sideline of the forum, Mansoura University signed a memorandum of understanding with the University of Xinjiang, which is characterized by modern engineering and technological disciplines, especially in the fields of road and transport engineering. Pro/ Feng Shen - President of the University of Xinjiang, expressed his happiness to cooperate with Mansoura University, exchange experiences and the establishment of joint academic and research programs. Dr. Salah pointed out that Mansoura University's keenness to participate in the forum comes from the University's strategy to build strong partnerships with the institutions of the global community. On his side prof/ Mohamed Kenawy, pointed out how necessary to maximize the benefit of international agreements and relations, especially with a major country such as China to share experiences and transfer knowledge that establishes a strong national economy.